Among the ones I used, the fit is good. I do not know the criteria for soundproofing, but it sounds like a bit noisy, and I think that if it is only soundproofing, products like ordinary sponges are the best. Product purchased this time was S size, but thinks that we want to purchase M size next time. I was thinking that my ear would hurt and I made it a size, it was too small and could not be soundproofed. This review is about item#37095091. Noises are amazing as it is currently under construction in the factory. I bought it to alleviate this, but it is not in the ear or there was no sound insulation effect at all. I bought M size, but is S size better? I am in trouble not to try in advance. This review is about item#37095073. When concentrating during desk work. Sound insulation effect. You can focus on something. There is no particular problem in wearing feeling. Is the price a little expensive? I use it in the factory of the company. The sound of the machine was noisy, I bought it so that it will not affect my ears Although the sound is reduced, it is convenient because you can hear the talking voice. It also fits the ears and is hygienic as it can be washed. Washing after using it with silicon material, because it can wipe it is convenient to save cleanly. It did not fit at all with quite hard eyes. Sound was not absorbed at all and I was sorry very much. Perhaps it is good for the person who meets it, but it is difficult to not try in advance. Although sound insulation is not bad, personal taste comes in touch and detachment. Some workers say it is good, but others are not good. 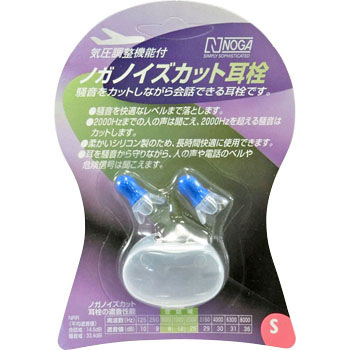 Each person carries it, it can be used at any time by air work, because it has a handle, it is easy to put in when you put it in your ear, it is soft, so it is gentle to your ears.